Nobles Funeral Home and Crematory announces the death of Ms. Willie Mae Cauley, age 91, who passed away Saturday, August 25, 2018 at Twin Oaks Nursing Center in Alma. 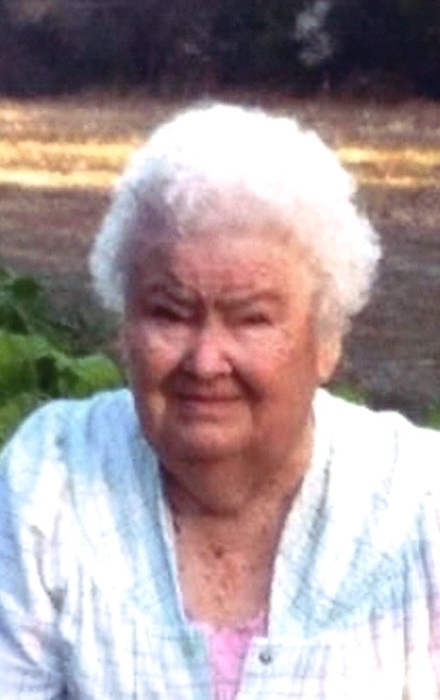 She was a native and lifelong resident of Appling County; a homemaker and a member of Miles Chapel Baptist Church. Ms. Cauley was preceded in death by her parents, Lemuel Carver and Flora Medders Sellers; one brother and three sisters. Surviving are her ten children, Dale and Annette Cauley of Baxley, Danny and Sarah Cauley of Alma, Dane and Annie Ruth Cauley of Baxley, Drew and Susan Cauley of Baxley, Dewey Cauley of Baxley, Dobby Cauley of Hazlehurst, Donna and Wade Moody of Baxley, Doug and Mary Cauley of Baxley, Dennis and Yvette Cauley of Baxley and Dedra and Rodney Carter of Baxley; twenty four grandchildren; fifty one great grandchildren; one great great grandchild; sister, Iris Jean Crapps of Baxley and numerous other family members survive. Funeral services will be held Tuesday, August 28, 2018 at 11 a.m. from the chapel of Nobles Funeral Home and Crematory with the Reverends Rick Brown and Doug Weisel officiating. Interment will follow in the Deen Cemetery. Visitation will be held one hour prior to funeral services on Tuesday. Active Pallbearers will be Cam Cauley, Toby Cauley, Trevver Cauley, Rocky Cauley, Marland Cauley, Blake Cauley, Marcus Cauley and Brian Cauley. Honorary Pallbearers will be the staff of Twin Oaks Nursing Center and Dr. Clay Carter and staff. The family will be gathering at the home of Wade and Donna Moody at 301 Clyde Road. Nobles Funeral Home and Crematory is honored to serve the family of Ms. Willie Mae Cauley.